With a retrospective nod to the past golden age of the cocktail hour, Cointreau is launching on July 14th an online guide to home entertaining and recreating the cocktail hour. Putting a modern twist on their cocktails, the Cointreau guide also covers early evening etiquette, fanciful food, sophisticated styling and all things necessary when gathering with friends for a cocktail party at home. The Cointreau Art of the Cocktail Hour blog will educate readers how to mix and serve signature cocktails with basic tools and terminology; cocktail hour etiquette; how to host your cocktail hour with ease and sophistication; what’s in and out of food fashion; and learn tips on themeing and styling yourself and your home to perfection. Australian Independent Distillers (IDA) is already a significant player in the Australian alcohol market and plans to cater to the Generation Y beer-drinking male demographic with their new Three Kings label. Launching on October 11, IDA introduces Three Kings; a cross-category alcohol brand with a unique black coloured bottle featuring a vodka & ginger mix, a dry-style lager and a 100% Australian apple cider. While this venture aims to deliver to IDA a slice of the beer market, it is also responsive to a new wave of consumer – one whose choice of drink is not necessarily dictated by habit, but habitat. A classic dry lager using a pale malt. Hersbrucker and Nelson Sauvin hops provide a characteristic aroma, with the latter offering up fruity, zesty notes of gooseberry and a hint of spice. The palate is dry, crisp and provides grassy notes which support a moderate and pleasing bitterness. A pale, cloudy appearance is followed by a sweet, fruit-forward aroma of apple. Such notes belie a crisp, fresh flavour on the palette, which showcases the well- balanced characters of acidity and fruitiness enjoyed from this quality cider consisting of 100% Australian apples. Characterized by a cloudy appearance and boasting a warm spicy aroma from ginger and a sour sweet note from apple. These aromas are echoed in the flavour profile; with a full yet refreshing mouth feel that expresses a mild bitter flavour for complexity and the smoothness of premium vodka. A refreshingly light finish and perfect for summer. 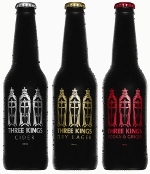 More information about the Three Kings range can be found online at threekings.com.au. Founded in Auckland, New Zealand in 1987 Independent Distillers (Independent Liquor in NZ)manufactures and distributes alcoholic beverages to export markets worldwide. Independent Distillers also produces a selection of beer, wine and spirits under its own brands, and is beginning to distribute licensed brands in some markets. A company that prides itself on being dynamic and innovative, Independent Distillers is always keen to explore new opportunities and break category norms. It has successfully been at the forefront of innovation and development of RTDs in both New Zealand and Australia and owns some of the largest brands in the Asian RTD market. Key products such as Vodka Cruiser, Woodstock Bourbon & Pulse have been a major influence in the expansion and growth of the Independent Distillers Group over the last two decades. There are few cocktails in the world that invoke the image of style and refinement as the traditional Gin Martini. This is with out a doubt mainly due to the legendary figures of the 20th century that enjoyed this drink such as Winston Churchill, Scott Fitzgerald, Ernest Hemingway, Franklin Roosevelt and Richard Nixon. Ask five different Martini connoisseurs on how you should make the perfect Martini and you are likely to get five differing opinions on the exact ingredient ratios and the technique making it that should be used. Fictional secret service agent James Bond always requested his Martini to be “shaken, not stirred”. Believe it or not though many people believe the shaking of Gin is a faux pas as the shaking action bruises the gin. One purpose behind shaking is to make a colder drink though as the spirits spend more time in contact with the ice. One golden rule you should always use when it comes to making a great Martini is paying attention to the quality of the ingredients used. There is only three ingredients involved in this cocktail so there is no point trying to make a good Martini with below average Gin, every one of the three ingredients needs to be of the highest quality you can possibly find. Originally launched in 1978 to the Australian market, Midori has since grown to become a liqueur no cocktail cabinet is complete without. Created from melon puree, Midori exhibits distinctive melon and tropical fruit flavours that are not overpowering, making it a versatile mixer. A bottle costs around $30 in Sydney bottle shops so if you don’t have a bottle at home already why not pick one up and try some of these great tasting mixed drinks for yourself. Summer is just around the corner and this is one of those mixed drinks which are simply unbeatable during the hotter weather. Build over ice in a tall glass and serve. This drink took out 1st prize at the Sydney Cocktail Championship in 1991 and afterwards experienced a loyal following through the rest of the 1990’s. Pour the ingredients into a glass over ice, and gently stir and then garnish with a slice of apple. Despite its name this drink is an all Australian creation, and was invented in 1984 by Jean-Paul Bourguignon at Mietta’s Restaurant in Melbourne. It is very easy to make and the citrus bite works wonders with the smooth Midori flavour! Place the cherry, into a chilled Martini style glass. Put the ice into a cocktail shaker, then add the other ingredients, shake well and strain into the glass before serving. 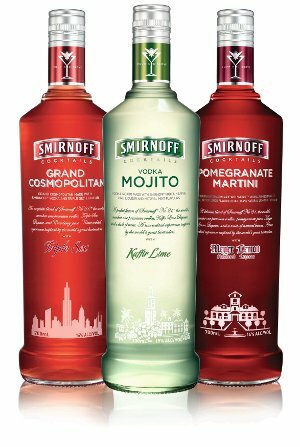 Think back to the early years of this decade, these were all the rage at night clubs, they cost around $7 and the bar person gave it to you in a plastic shaker to drink. Those carefree days may be gone, but that doesn’t mean you can’t relive your misspent youth, right in the comfort of your own home. Add all the ingredients into a cocktail shaker, shake well then strain into shot glasses. For more recipes and information on what is happening in the world of Midori this summer be sure to check out the Adore Midori website. 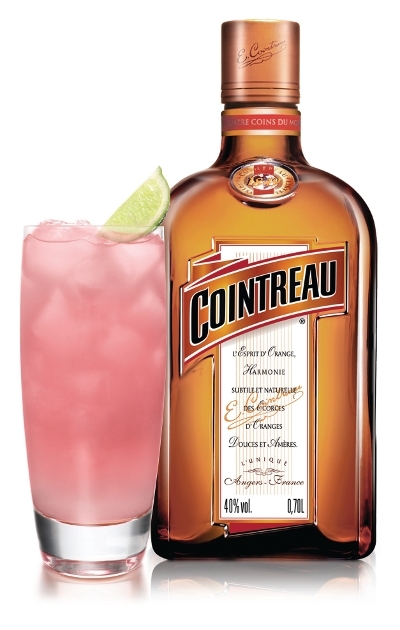 The Cointreau Blush – Unrivalled Refreshment! Summer is almost here and with the warmer weather comes the need to mix up something more refreshing than normal to help battle the heat. 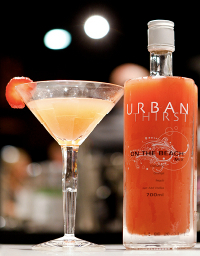 Meet the Cointreau Blush, this summer it will be making its début in many bars around Sydney, designed especially for the Australian summer this number tastes fresh, tangy and is extremely refreshing. 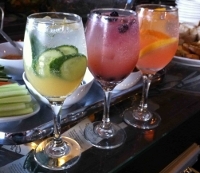 You don’t have to leave home to enjoy this cocktail though, like most great mixed drinks this one shines with simplicity. All of the ingredients can be found at your local supermarket and kept in the fridge without having to worry about spoilage (the lime is the exception) making it a great drink for unwinding after a long work day. Take a long glass add your Cointreau and some ice, a dash of soda water, some lime juice, then top up with the grapefruit juice, garnish with a lime slice and your done! You may want to play with the amount of soda water added according to your personal preferences though. I found the cocktail a bit tart for my liking with just a dash of soda, the addition of bit more took the edge off the tartness though and made it very easy to enjoy!